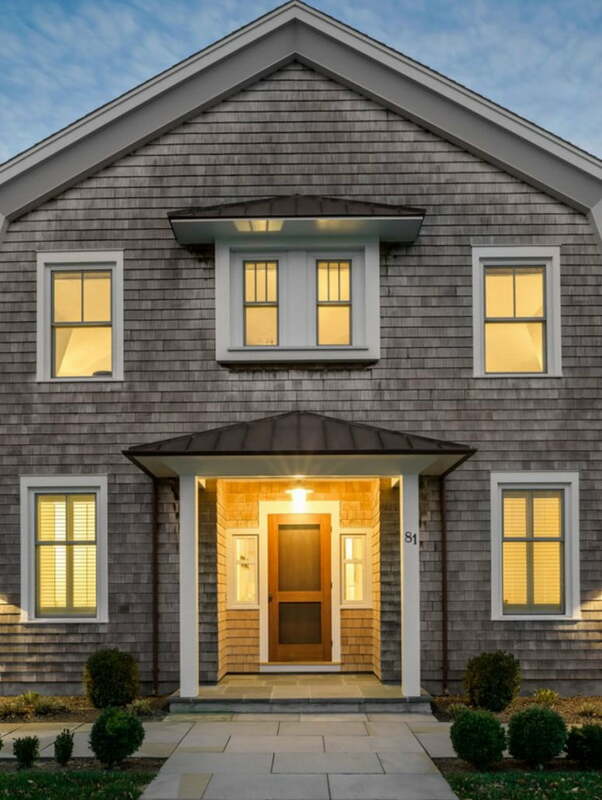 The front entry features a copper roof and double windows above, providing natural light to the rooms upstairs. 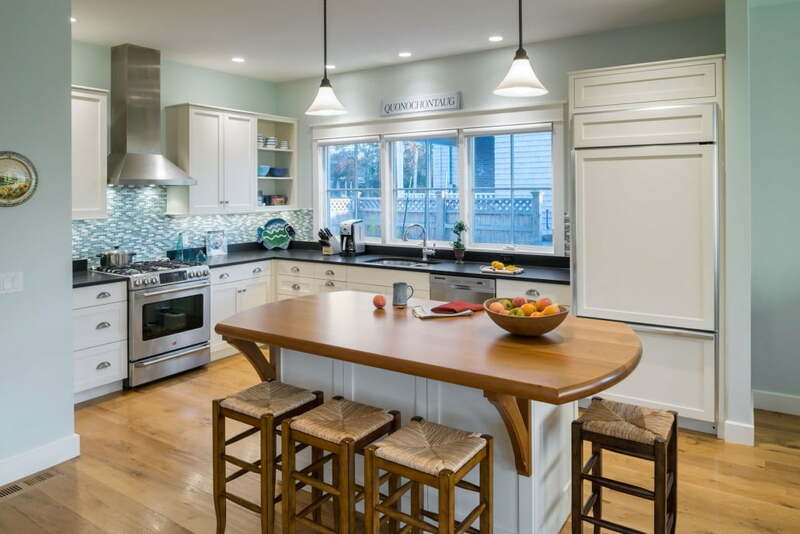 Custom brackets under the cherry island countertop reflect Craftsman-style detailing . 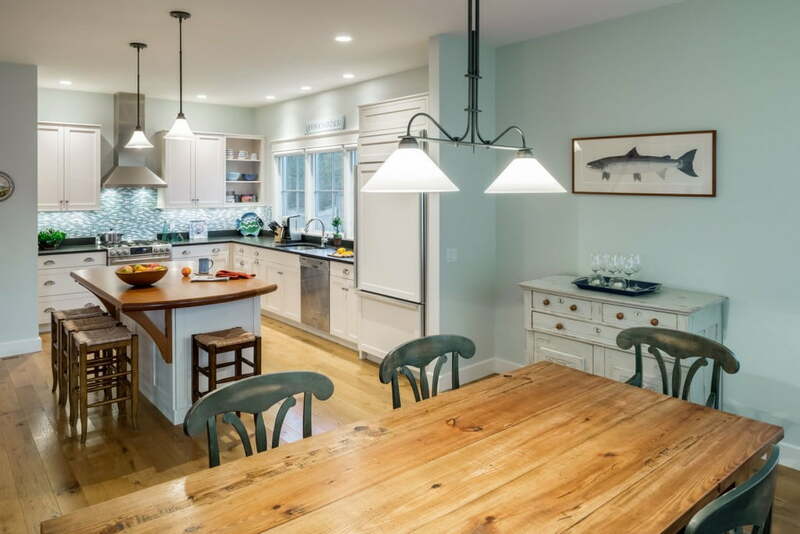 A glass tile backsplash, flat-panel painted cabinetry and wide plank oak flooring continue the beach cottage aesthetic. A stainless steel vent hood and appliances in the kitchen reflect the sunlight that bathes the space at all times of day, and the large bank of Marvin windows allow for natural summer light. A recessed cavity was created for a flat screen television above the sand-blasted granite fireplace surround. 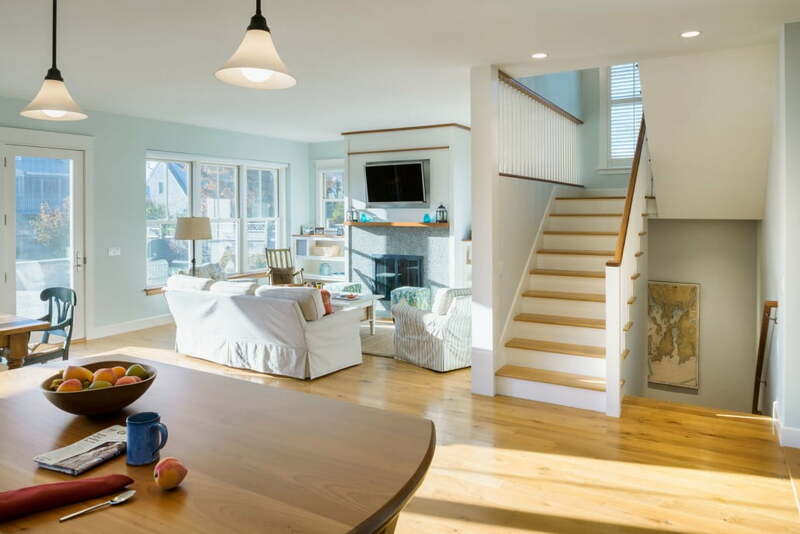 Built-in shelving showcases beach-combing finds and family photos. The stairway with three-quarter wall and rail screen opens the room providing for additional wall space below. 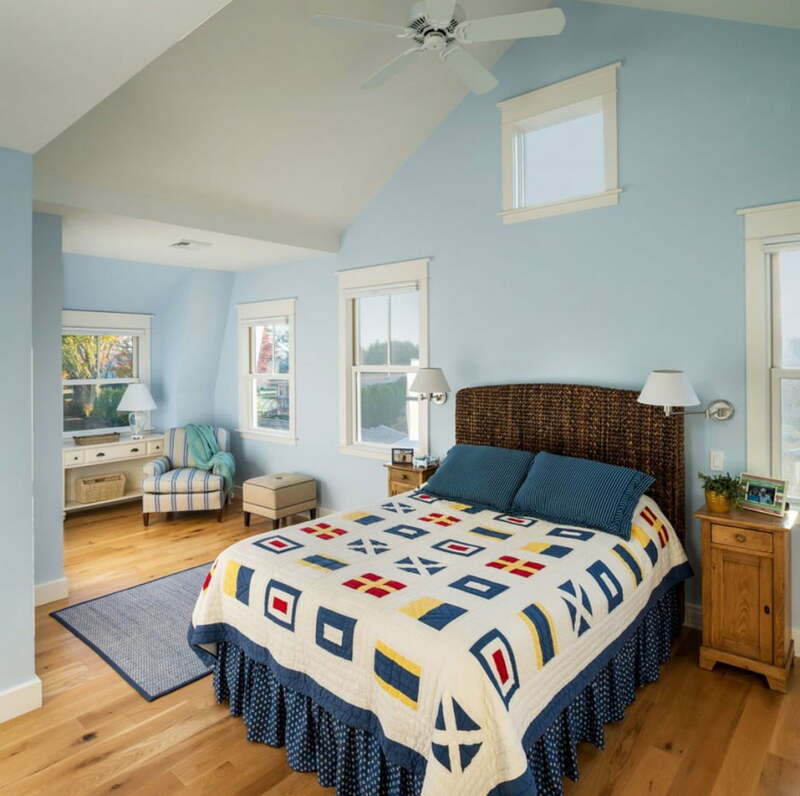 Vaulted ceilings and plenty of windows make the bedrooms spacious. 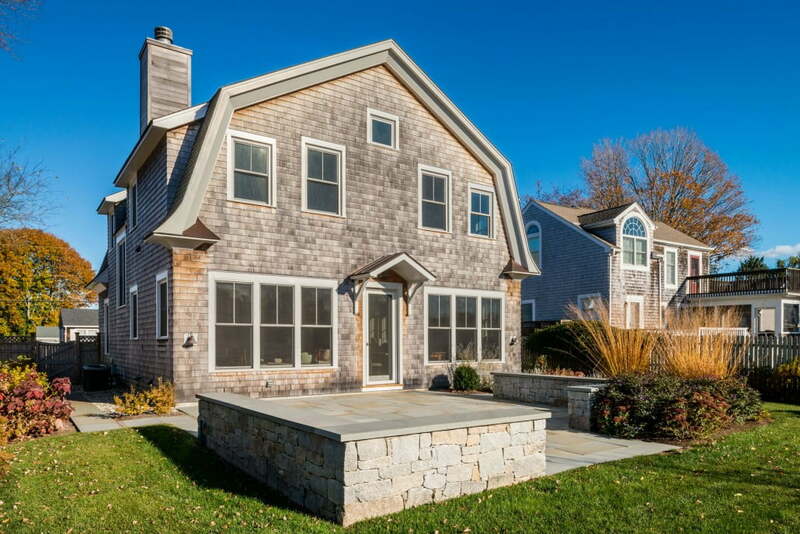 Exterior elements include low-maintenance landscaping, Yellow Alaskan cedar shingles, cedar privacy fencing and a loose stone parking area to meet drainage requirements of coastal homes. A lighted bluestone path wraps around each side of the home to an outdoor shower and backyard. The full basement houses mechanicals, storage and a recreation room with a pool table. 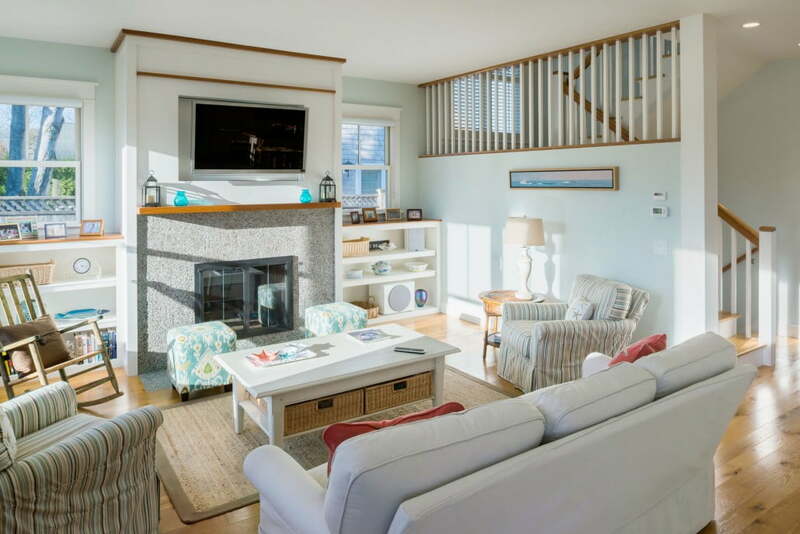 We demolished a beach cottage on a small lot and built a custom Craftsman-style cottage in its place. 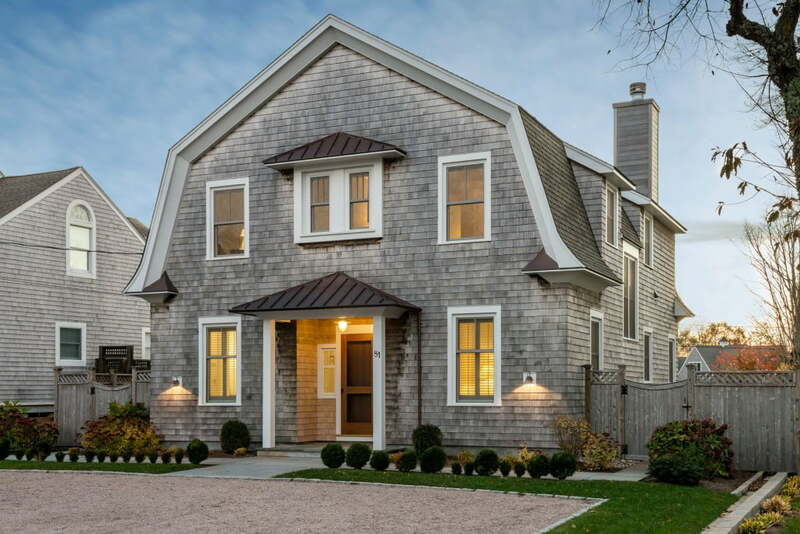 The home features a gambrel roof, large banks of windows, and custom built-ins throughout. © 2019 Baud Builders Inc.